Every Easter I'm aware that many of my readers will be thinking of doing some home entertaining or, at the least, a little home cooking. So Easter recipes are high on the agenda for Internet searches around this time of year - and I don't want to disappoint anyone who is looking for ideas! Last Easter I suggested a rich white chocolate ice cream recipe. Great for using up any white chocolate easter eggs you might have left over. The same applies to milk chocolate too - here is my chocolate ice cream recipe using real milk chocolate. So if your family gets a lot of chocolate this Easter, remember they don't have to eat it all at once - make some ice cream with it or, indeed, keep some of the chocolate until after the holidays and then make ice cream with it. After all, the 'best before' date on chocolate is usually pretty good. In fact I met a chocolatier a couple of years ago who told me that, generally speaking, chocolate can be good for up to as long as a year after it's been made. Even so, you should always check the manufacturer's date on the packaging. However, I digress .... back to Easter ice cream! Something 'nutty' - my crunchy pecan & maple syrup ice cream recipe. The reason? It has proven to be one of the most popular with people I know which makes it a pretty good bet for when you have visitors over the holidays. Something 'sweet' - my honey ice cream recipe. The reason? Most people like honey. It also gives a great texture to the ice cream and, funnily enough, is an ice cream flavor that many people have yet to try. So the reaction to be offered it is usually one of surprise and interest. 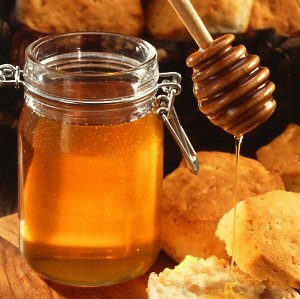 Honey is always great to have in your kitchen at Easter anyway - it's delicious served on hot cross buns or scones! 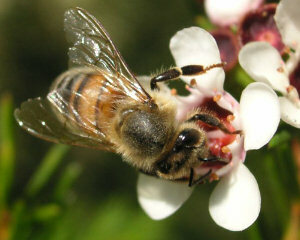 Indeed, if you serve honey in any shape or form over Easter, you might like to share with your guests a few, fascinating facts about the wonderful honey bee. The link I've given is to a great BBC web page - nothing too scientfic or overbearing, just some great information. Happy Easter ice cream making!